Since 1996 when Automation Creations, Inc. opened, training has been a service that we are passionate about. We believe that everyone learns differently and that is why we are one of the few companies that still offers in-person training. 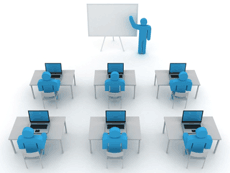 ACI can provide trained, professional instructors that have many years of experience delivering in-person training. Our instructional designers will work with you to create the content for the classes to fit the needs of the audience. Can ACI do virtual instructor-led training? We look forward to discussing your organization's training needs. Contact us for a free consultation.